On a recent rail fanning trip, long time member Felix Lesiuk caught sight of the CP Rail executive train rolling down the mainline near Rosser, Manitoba. 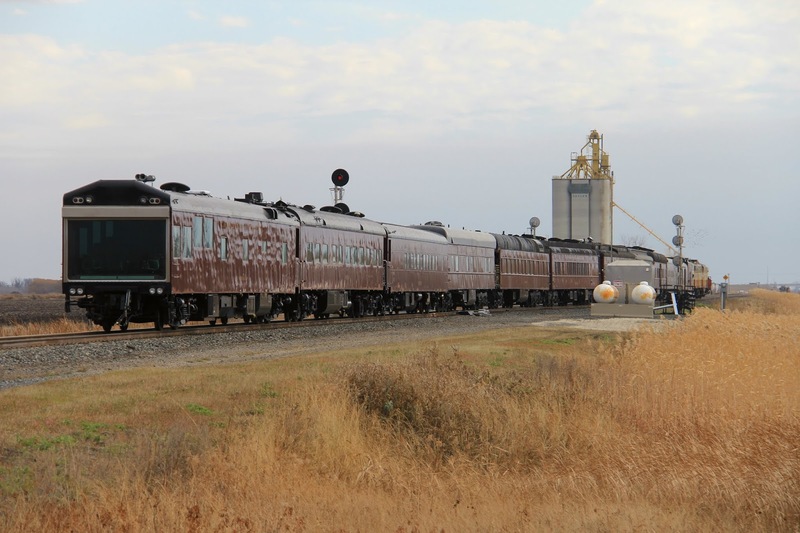 This train is used only occasionally for private excursions and tours taken by CP Rail executives. 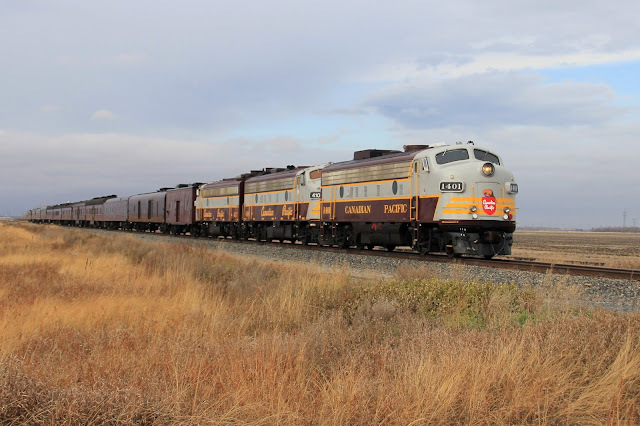 It is a rare sight to see this magnificent train on the rails, and our man Felix was at the right time at the right place! 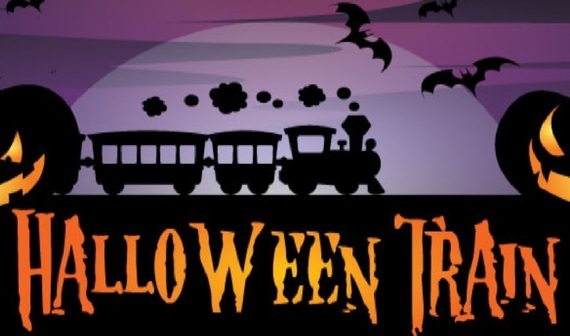 The Assiniboine Valley Railway is having a very special (but not too scary) Halloween train run this weekend only! It runs on October 27, and on Sunday, October 28. Hours are from 6:00PM to 9:00PM. Please take note that the train is running in the evening. Take a ride for two bucks, or buy a 12 ride pass for $20. Kids two years old and under ride for free. All minors must be accompanied by an adult. The AVR is located at 3001 Roblin Boulevard, just west of Assiniboine Park. 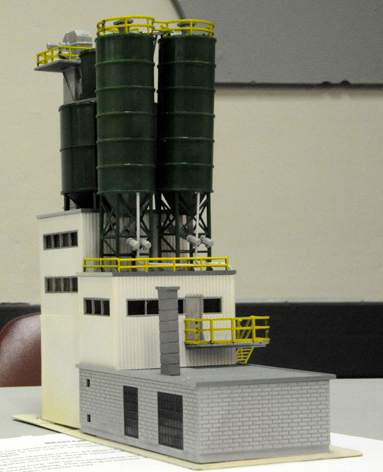 WMRC Past President Larry Leavens brought in a model of a Bentonite plant that he had been working on. Bentonite is a clay product that swells when wet and is used in construction to reduce seepage in the soil. It is shipped either as a powder or in pellets, either in bulk or bagged. The structure is a Faller Concrete Plant kit. The base of the building where a cement truck would receive the premixed concrete, was filled with corrugated sheet styrene. The majority of the structure was painted with ‘rattle can spray paint’ prior to the assembly of the major components. The structure will be incorporated into a larger industry, Pembina Mountain Clays, at Scott’s Siding. The siding is named in memory of long-time WMRC member Charlie Scott. Neil Carleton brought in a Canadian Pacific truss rod boxcar built from a kit. The kit was repainted and decorated with period correct decals from Black Cat Decals. Weathering followed using Pan pastels and then sprayed with Testors Dullcoat. October is an especially wonderful time to ride on the AVR, as the fall foliage is in its full glory! They're open from 11:00AM to 5:00PM on Saturday, October 13, and from 1:00PM to 5:00PM on Sunday, October 14. A ride costs two bucks and you can buy a 12 ride pass for only $20! Kids two years of age and under ride for free. All minors must be accompanied by an adult. The AVR is located at 3001 Roblin Boulevard, just west of Assiniboine Park. 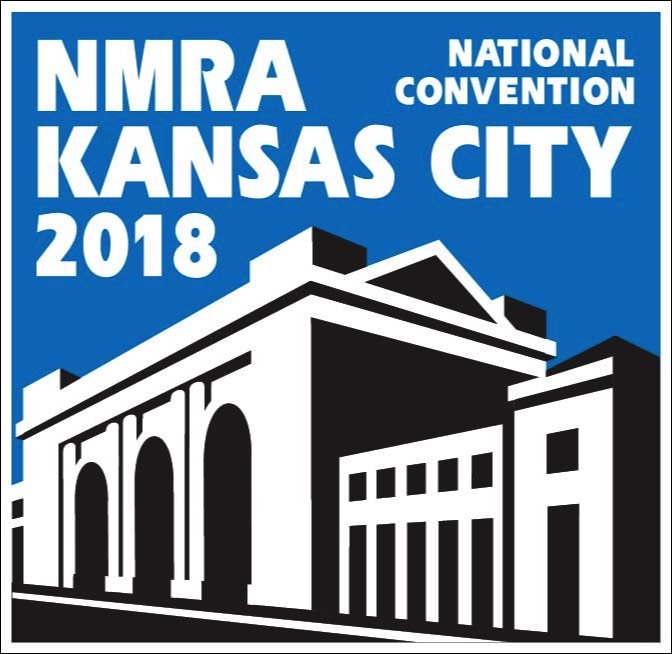 WMRC Treasurer John Bate will talk about his trip to the NMRA National Convention, which was recently held in Kansas City. John presented a clinic at the convention and also toured a number of layouts. He'll show you what a NMRA national convention is all about and talk about those things that caught his eye. After that, Tyler Fedoroshyn will present a clinic about locomotive maintenance and repair in 1:1 scale. Tyler is a model railroader who works for GE (the people who make the diesels) as a service tech here in Winnipeg. Tyler has worked in both Weston (Canadian Pacific) and Symington (Canadian National) diesel shops. His presentation will include an overview of the shops and describe the various reasons why locomotives are brought into the shops. This will include stories about the problematic ones and stories about the particularly big jobs like wrecks and major engine failures. He'll also talk about his HO scale CP PortCoquitlam shops with ideas on how you can model prototypical shop operations. Tyler spent 4 weeks this summer training at GE's Erie, Pennsylvania plant and may have some photos of that facility. The meeting starts at 7:30PM on Friday, October 12, in the Tank Room at the Charleswood Legion, 6003 Roblin Boulevard. The canteen will be open, and we'll have a 50/50 draw and our monthly model display. Not a member? Not a problem! Guests are always warmly welcomed! Five years ago today the WMRC went online in a big way when their blog was created by their newly appointed social media director Paul Ullrich (with a lot of help from his wife Margaret, who has two very popular blogs, Winnipeg is Better than Chocolate and I'm Turning 60). The blog got 90 views on the very first day. As of today, it has had 208, 540 views and has a worldwide audience. 605 posts have been created and archived for anyone to view. 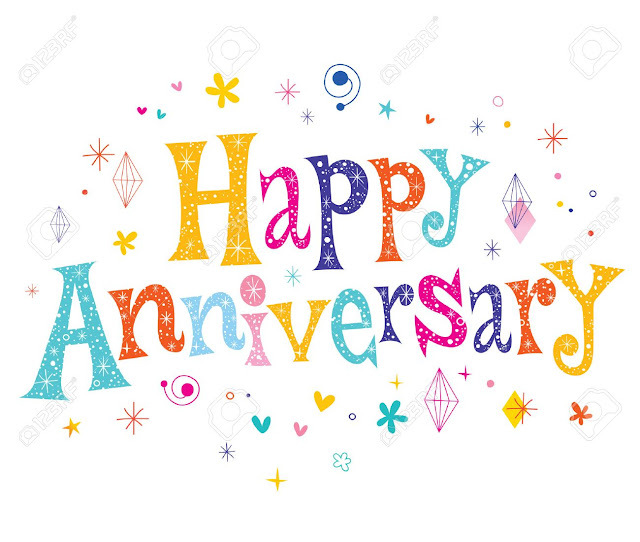 Thanks to all of our club members, model railroaders and rail fans throughout the world who have made this blog such a success! WMRC Vice president and Public Relations Director Ian Plett was interviewed on Global TV's local morning show on September 28. 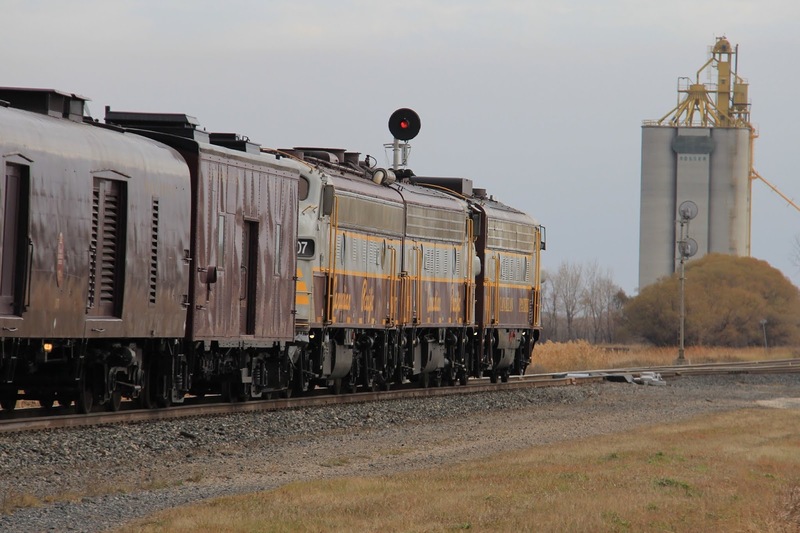 He was there to promote the Manitoba Mega Train Show, which was held on September 29 and 30. Ian, who is also Superintendent of the NMRA No. 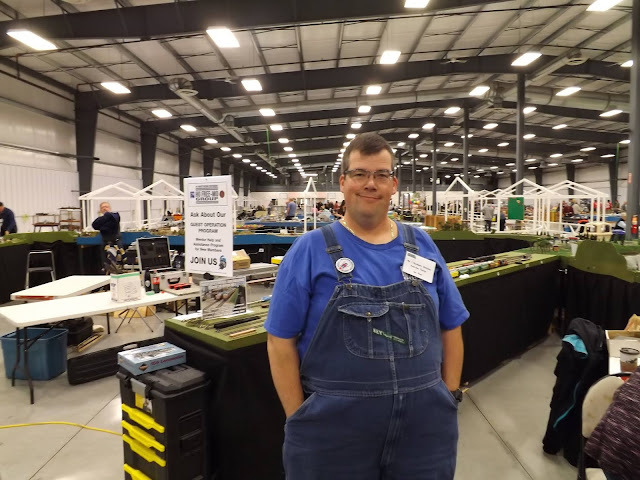 1 Northern Division and President of their Free-Mo group, set up the largest display the show ever had, combining forces with the Kildonan Short Lines modular group. 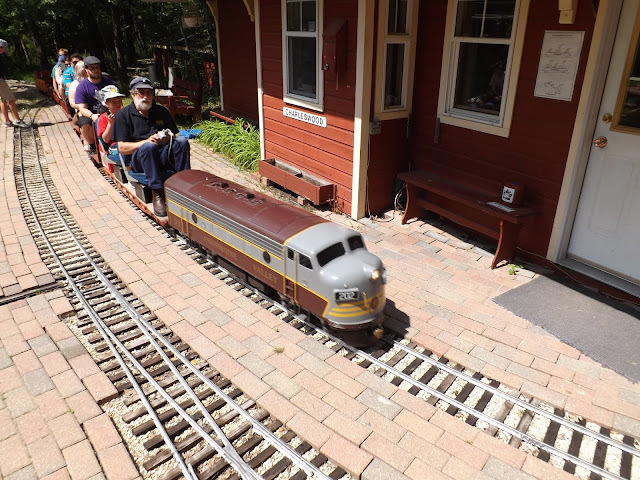 The WMRC always has a significant presence at the show, as the club is involved in set up and take-down of the event, including assembling the mega-train and manning the admissions desk.